Slowly but surely we are making progress on my mom's bedroom makeover. We have one gallery wall to finish up and then it will be ready! I just finished up this small project for her the other day and thought I'd share it with you. I'm always smitten with projects that involve white fur. It feels so glamorous to me. This was simple and easy and I'm loving the new look! Since the top portion is so deep I chose to cover it the same way I did my faux leather ottoman. I took off the legs and laid the fabric wrong side out over the top. Then I pinched the corners together and used my sewing machine to sew a seam straight down where each corner would be. Once that part was finished, I just flipped it right side out and slipped it over like a slipcover. Then I stapled everything underneath. The legs felt a little boring and slightly dated so I gave them a fresh coat of gold spray paint to liven things up. 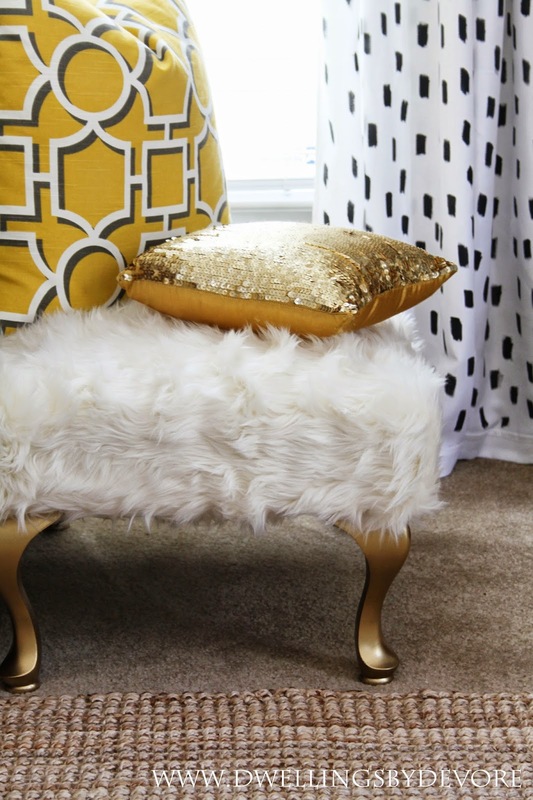 I used my go to gold spray paint (Rustoleum Gold Metallic) and it made such a big difference. The legs felt so dark and dated before. We were originally going to use a faux sheepskin rug from IKEA to cover it, but it ended up not being large enough. So I ordered the fabric from Fabric.com. It feels much softer than the IKEA rug and was pretty easy to work with, besides the fact that it shed. A lot. Overall, I think it looks so much better! She originally paid $10 for the bench and then we spent a little over $20 for the fabric. (I had the paint already) So the total cost was only around $30. Not bad for a fancy little spot to prop your feet up! Totally love it. 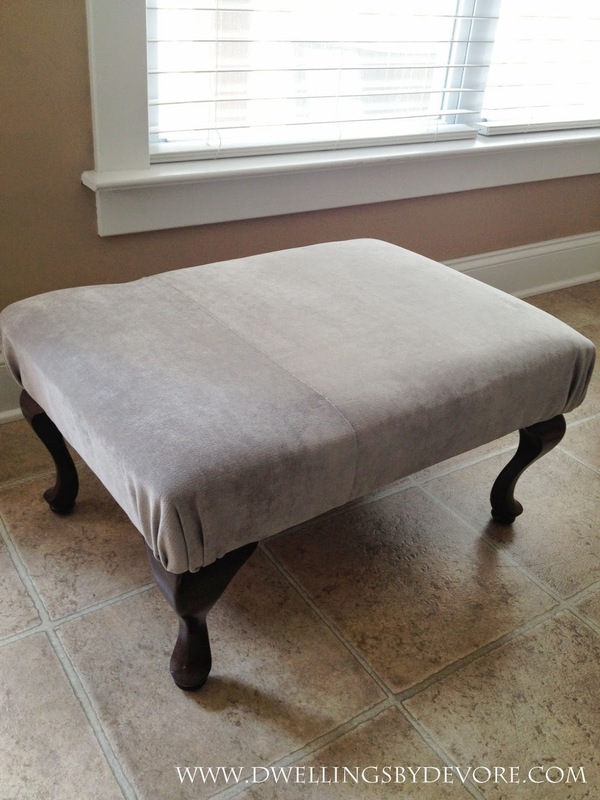 The ottoman looks fabulous now. holy wow! that is awesome!!! 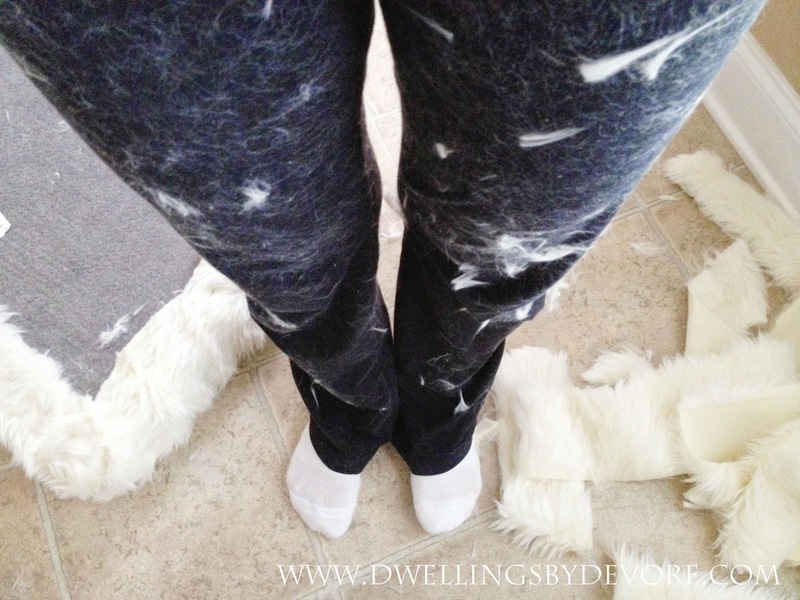 love the pants, too- when i made emmy's faux hide rug i looked like that, but with short pink fur. I love it, how fun is this and I love that sequin pillow too. Oh, la, la! Love your idea of sewing the corners, too! Love it so much! It looks so soft and like the comfiest little spot to sit! My black fur stools are still waiting for their white fur makeover...your pretty one is spurring me on to get them finished! It's so glam now! 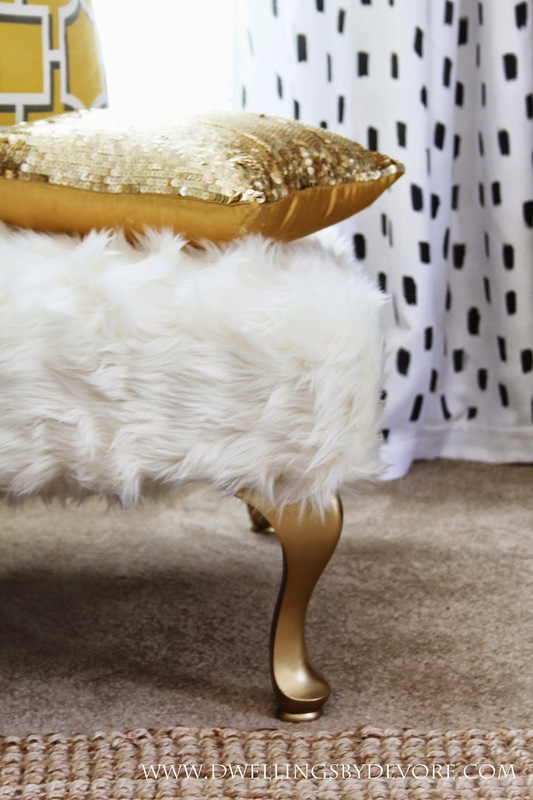 Loving the fur + gold. Thanks Sarah! It's one of my favorite combos! Thanks Jennifer! Can't wait to see your stools! Thanks Pam! It really made it easier! Thanks so much Cassie! It made a total mess, but the end result was worth it! 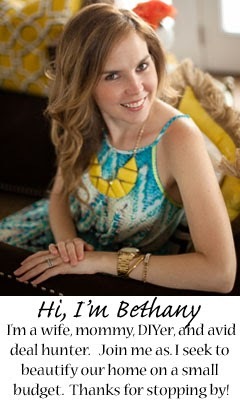 Bethany, this is perfect!!! I love everything about it and such a huge impact especially with the gold legs! Pinning! Thanks so much! 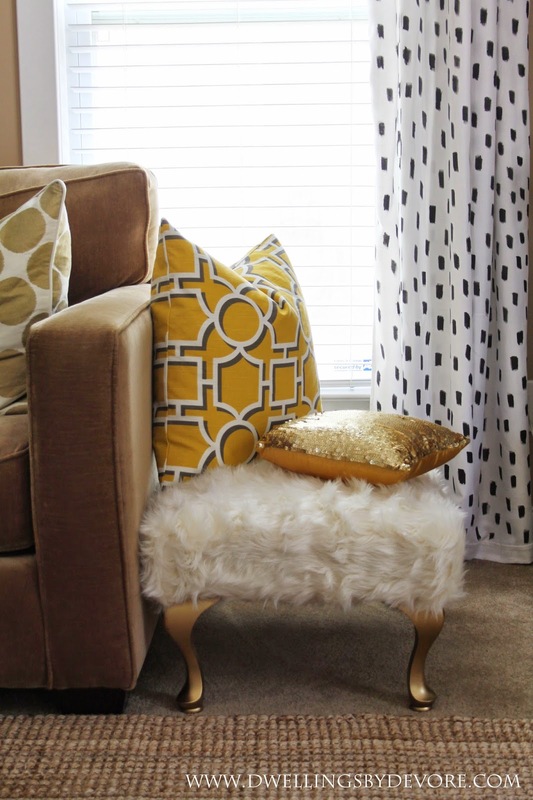 I purchased those pillows from Homegoods a while back. I think Michael Miller makes a similar gold dot fabric, but the dots are a little smaller. Fabric.com sells it.